This is a wonderful Monday... why? Because I was home all day (working, in my home office), and I get to stay home all day tomorrow, too (working, in my home office). I stay home from work so I can work from home :) And man I have some fascinating stuff going on, a big marketing project and some interesting technical work too. Just need more time! And so now... filter pass! Important work from Williams Cycling; their annual survey of the Climbs of the Amgen Tour of California. Pay particular attention to stage 8 which features four laps up Rockstore and down Decker. I must tell you I am disgusted by the ride in the video, who climbed Rockstore in 10.5 minutes; my *best* is 15.5, and it normally takes me 17-18. But anyway it is interesting commentary on all the climbs, and this year there are many of them! Who would have predicted this? Alexander Vinokourov leads Giro after stage three. Wow. There's a long way to go, but Vino is back. How cool would it be if he could actually win the Giro? He's one the Vuelta already - I was there to watch him do it :) - and he's come close in the Tour de France also. He'll be a worthy teammate of Alberto Contador for sure... and you know they are testing the piss out of him and so he is not doping anymore. If he ever was. The power of Why. Don't start with What, go to How, and then to Why, instead start with Why, go to How, and then What. Okay! I always find it slightly weird that Who, What, When, Where, and How are all factual, but Why is always conjectural. Why is not like the others... it depends on human motivation. 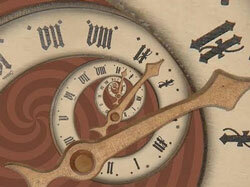 A definitive reference: How to embed videos in your web pages with HTML5. Okay. Mostly I just link to videos embedded on other pages, because 1) it is a lot of work to embed videos in a cross-platform manner [BTW HTML5 doesn't address this at all] and 2) most people don't click through to watch videos anyway [BTW HTML5 doesn't address this at all]. 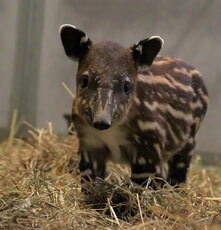 Nashville's storm babies, part II, yields the ZooBorn of the day: a little Tapir.